You had to see it to believe it. 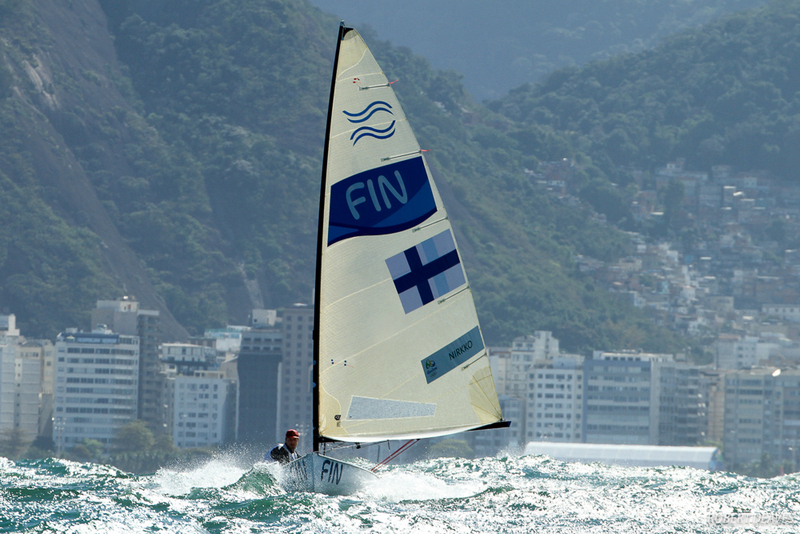 The third day of racing for Finns at the Rio 2016 Olympic Sailing Competition was a spectacular day of sailing with big winds, huge seas and even bigger stakes. While Giles Scott (GBR) moves into an 11-point lead and Vasilij Zbogar (SLO) hangs onto second, Zsombor Berecz (HUN), rockets up the fleet to third after a great performance. The sailors awoke in the morning expecting a nice quiet day inside the bay, but the organisers had changed the schedule to put them on the Copacabana course area outside the bay as it was deemed too dangerous for the multihulls. But dismay soon turned to delight as the conditions allowed the Finn sailors to show what they are made of – a gladiatorial battle at the extremes of what is sailable. 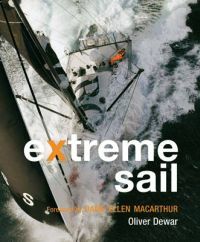 With the wind pushing past 25 knots, and 2 to 3 metres waves, on an even larger swell, coming down the course, it was no day to be shy. 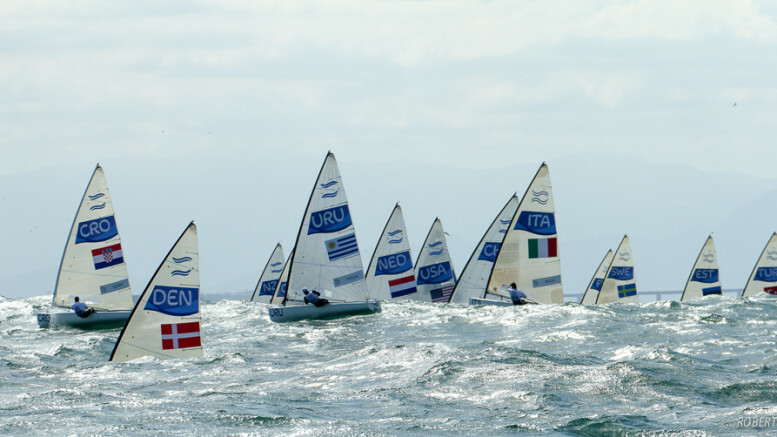 In the first race, Jorge Zarif (BRA) knew where he was going and led round the top mark from the right corner. But Berecz was not far behind and took the lead on the second upwind to take the win from Zarif and Tapio Nirkko (FIN). Zarif said, “I think the secret today was to find a good line to cross to the right and I had a good line and good boat speed and I was lucky to cross fully to the right. And that’s it. Less current, and more wind. And then in the second one I tried to tack as soon as could after the start, but I was too late already.” He finished 18th. The second race followed a similar format with perhaps slightly more wind and slightly larger waves. This time, Scott, got it right and, after passing Jake Lilley (AUS) on the first downwind, led round the rest of course for an impressive win. Caleb Paine (USA) crossed second, but was later disqualified following a protest on the start line, so Josh Junior (NZL) secured second with Lilley third. The disqualification of Paine drops him from fourth to 14th. That means Pieter-Jan Postma (NED) is up to fourth, with Jonas Høgh-Christensen (DEN) moves up to fifth, despite a day of two tenth places. 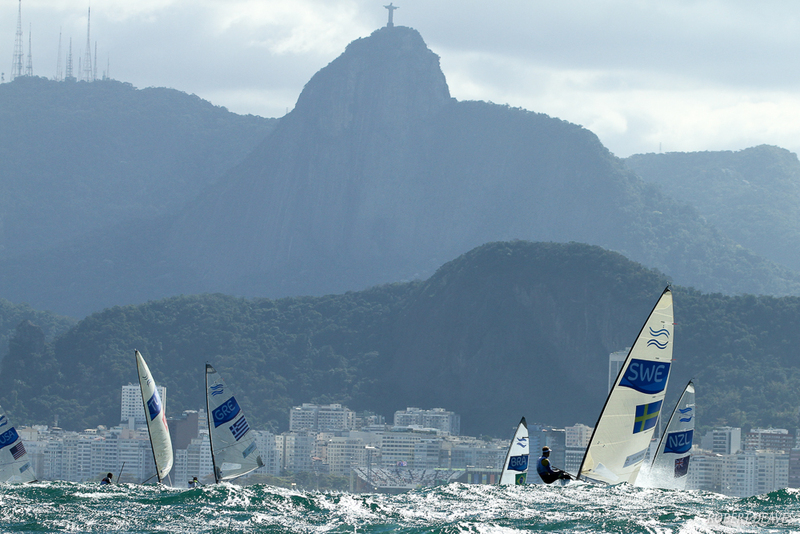 Friday have the finnsailors a lay day, a time to rest and reflect on the second part of the Olympic regatta. Only 10 points separates third to tenth, so there is still a lot of racing to go before this regatta is over.